We are grateful for your support our work in Poland in 2015. 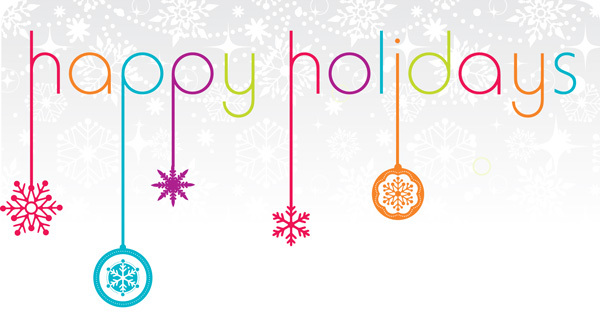 We wish you and your family a happy holiday season and blessed near year! “While living and working among Poles, I faced a choice one day in 2004. Hannah, a woman of Jewish descent, urged me to visit the Jewish cemetery in Otwock. I realized the uniqueness of her request; it was a “once in a lifetime” moment. However, I did not know what her request meant. I wanted to find out why a Jewish cemetery was important to Hannah. My search for understanding led me to the question: What should be the Christian response to the Shoah? I began researching Jewish cemeteries and considering what it would look like if I began caring for and restoring one Jewish cemetery. Why? My purpose was simply to open dialogue and pursue reconciliation with the Jewish community. 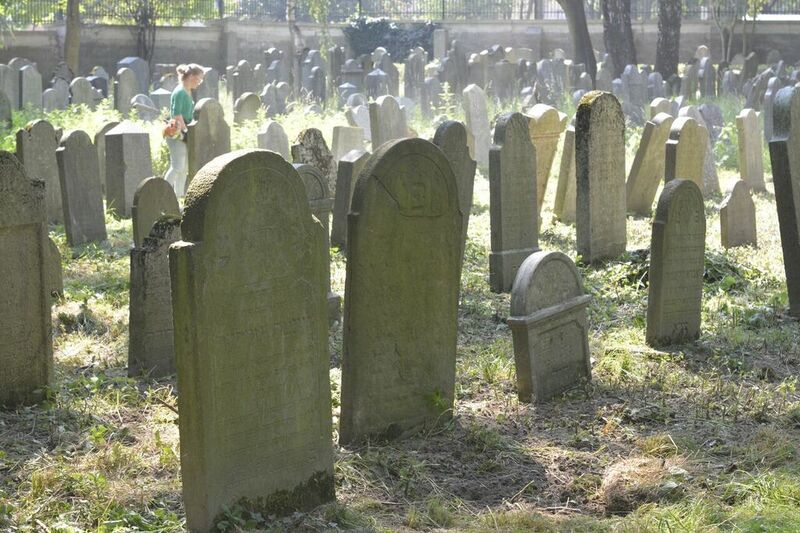 In 2005, I began to lead Baptist volunteers to care for and restore the Otwock Jewish cemetery. By the end of 2008, Baptist volunteers had worked in the Warsaw Jewish cemetery in Okopowa and in the Jewish cemeteries of Pruszkow and Sochaczew. 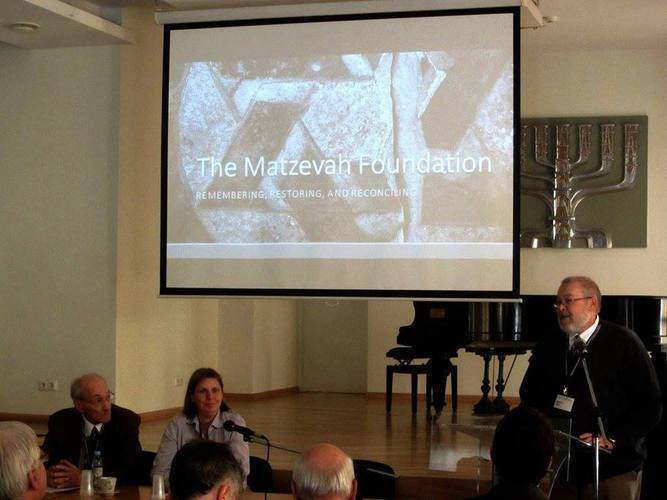 In 2010, my work eventually led to the establishment of The Matzevah Foundation, Inc. with a group of friends. Five years have now passed and our work continues to grow. Nonetheless, we have not lost sight of why we exist. 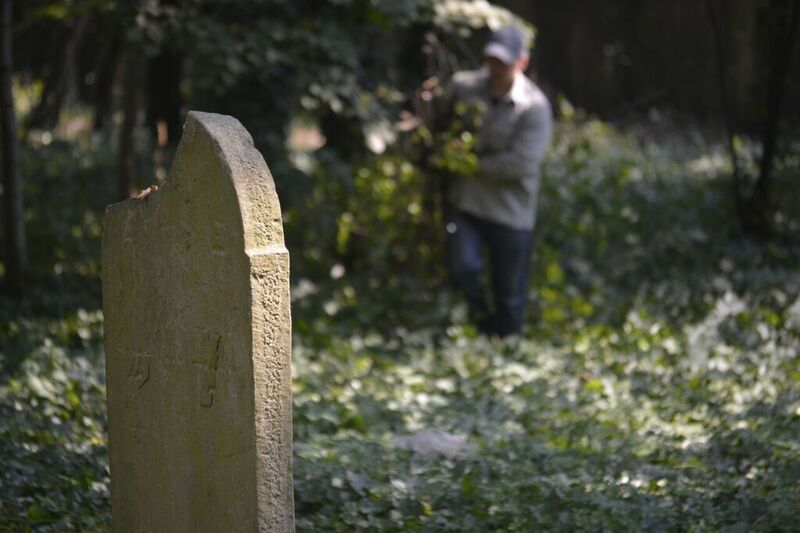 Our mission is to care for and restore the Jewish cemeteries of Poland and to educate the public about the Shoah. Our mission is carried out by remembering, restoring and reconciling. Everything that we do is framed by “acting justly, loving mercy and walking humbly” before G-d (Micah 6:8). We continue to cooperate with the Rabbinical Commission for Matters of Cemeteries in Poland. We partner with the Foundation for the Preservation of Jewish Heritage in Poland, the Foundation for the Documentation of Jewish Cemeteries, and Fundacja Zapomniane (Foundation of the Forgotten). Since 2012, we have worked in the Jewish cemeteries of Zambrów, Oświęcim, Krzepice, and Wolbrom. Each year our work has been broadened and deepened. In 2016 we will have Jewish cemetery restoration projects in Markuszów, Nasielsk, Radecznica, Oświęcim, and Krzepice. We have learned that remembering leads to restoration – not just the restoration of physical places but the restoration of relationships. Restoration is a process. We think rather optimistically that the process of restoration will lead to the possibility of reconciliation in the future. In the meantime, for us, remembering leads us to action. June 3-12, 2016, Krzepice (dates tentative): Return to clear and clean the cemetery; possibly clear the perimeter for building a wall in the future. July 15-24, 2016, Markuszów, Poland (date set): Clear and clean the Jewish cemetery that has been left unattended for many years. Coordinating work with FODZ and with Dan Oren, a descendant of Markuszów, and in partnership with Brentwood Baptist Church in Tennessee. August 12-18, 2016, Oświęcim (dates tentative): Continue to clear and clean the cemetery; complete the placement of matzevot in bases that were purchased by TMF in 2015. August 19-28, 2016, Radecznica (dates tentative): Work with Fundacja Zapomniane to clear, clean, set up a matzevah at mass grave sites.